This book just showed up in my mailbox one day. Fun, right? I love surprise bookmail! This may not be my usual genre, but I like to switch things up sometimes. When I was younger I read all the John Grisham and Tom Clancy books. I thoroughly enjoyed them, and this book is the same genre. 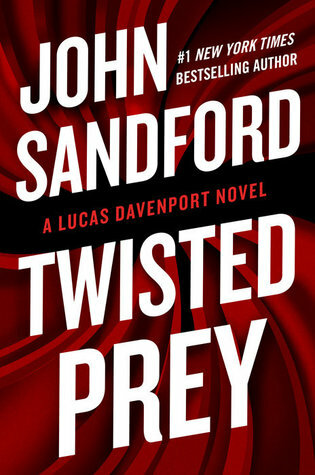 Check out my book review of Twisted Prey by John Sandford to find out if I liked it! 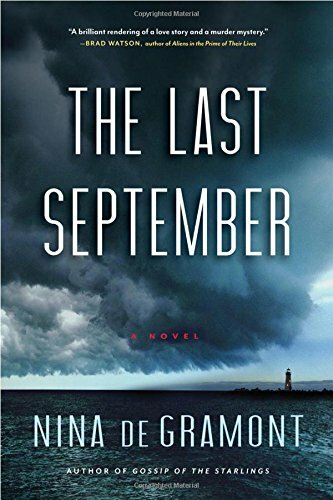 “Lucas Davenport confronts an old nemesis, now a U.S. senator and more powerful than ever, in the thrilling new novel from the #1 New York Times-bestselling Prey series. Lucas Davenport has crossed paths with her before. A rich psychopath, Taryn Grant had run successfully for the U.S. Senate, where Lucas had predicted she’d fit right in. He’d also been convinced that she was responsible for three murders, though he’d never been able to prove it. Once a psychopath has gotten that kind of rush, though, she often needs another fix, so he knew he might be seeing her again. He’s right. A federal marshal now, with a very wide scope of investigation, he’s heard rumors that Grant has found her seat on the Senate Intelligence Committee—and the contacts she’s made from it—to be very…useful. Pinning those rumors down, however, is likely to be just as difficult as ever, and considerably more dangerous. Lucas Davenport must work really hard because there are a bunch of books about him. I liked him as a character. He keeps things real and doesn’t completely overreact to minor situations. Lucas thinks things through, usually, before acting. I love how much he loves his wife. If I had been his wife in this book I think I would have made him stay with me longer, but she’s probably used to it. I like that he’s a strong, capable guy, yet he also has more of a sensitive side. There were a lot of characters in this book. I hate to admit that I couldn’t keep all of them straight. Between the different government agencies and organizations, I kept forgetting who was who. For the more important characters, though, like Lucas, Bob, and Rae, I didn’t have a problem. Overall, I thought the character development was well done. It’s a bit creepy getting into the minds of psychopaths. Yes, plural. There is more than one in this book. The plot seemed plausible, most of the time. Just like some of the current movies, they have to throw in a few things to make the hero seem a bit more powerful than he really is. I’m fine with it. Sometimes it makes me roll my eyes and laugh a little, but it’s fine. I get it. It’s a little scary to think that someone would really do something like this in order to gain power. There’s a lot of action in this book. Murders, car crashes, disguised assassins shooting up hotel rooms, muggings, secret plots, and hidden files are just a few. Be prepared for quite a ride! It made me very happy for my nice, quiet life. Haha! Not that four kids make for a quiet life, but that we aren’t involved in anything like this. Ever. Thank goodness! Overall, I liked the story. I liked the complexity of it, and I liked trying to figure it all out. For me personally, there was way too much profanity. I lost track of how many “f” words there are. Maybe it was to try and develop the characters, but I think the same purpose could be achieved in a different way. I also figured out that I don’t like watching people die like that. It was quite gruesome. Have you seen the movie? Then you need to read the book! It’s better, of course! Dan Brown is so good at creating this world where you get caught up in the suspense and the mystery. He masterfully connects the mysterious to the symbolic, and then adds just enough reality to make you really wonder. Is this true? 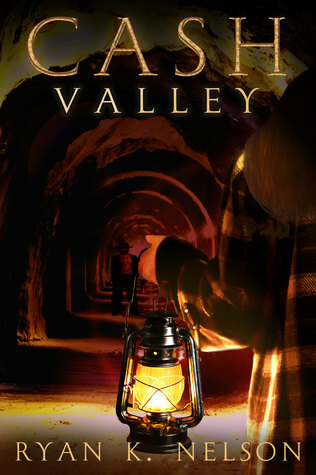 If you’re looking for a fast, entertaining, suspenseful read, then this is the book for you. I hope you enjoy my book review of The DaVinci Code by Dan Brown. “An ingenious code hidden in the works of Leonardo da Vinci. An astonishing truth concealed for centuries…unveiled at last. This is an oldie but goodie. If you can believe it, this is one of the first books I reviewed, way back in April of 2009! My reviews looked very different back then, so I’m updating it today in hopes of making it more readable and helpful. I really enjoyed this book. If you can remember when it came out, there were lots of History Channel documentaries about the Knights of the Templar and the theory behind this book. I have to admit that I was enthralled. Is any of it true? Probably not, but it makes for a very engaging story! 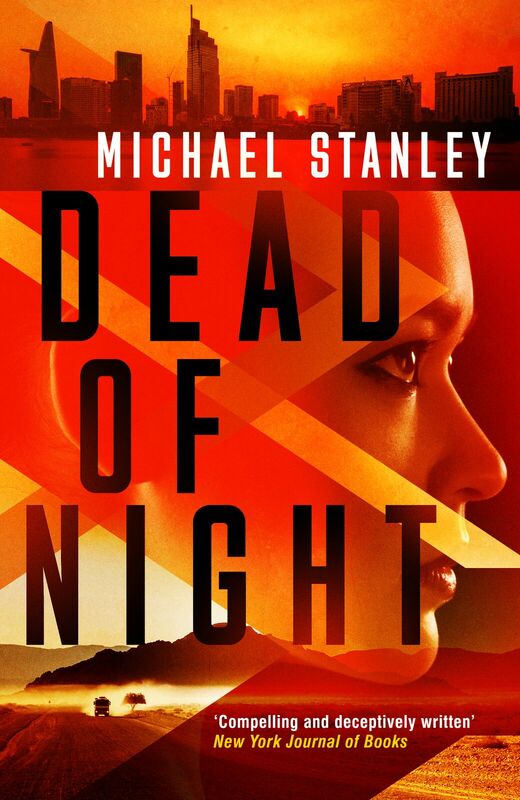 This is a definite thriller that keeps you reading. The curator of the Louvre Museum in Paris is brutally murdered and positioned in a strange and symbolic way—in the Louvre. American professor Robert Langdon happens to be in Paris and is awakened by the French police at his hotel room. They ask for his help in solving the murder. Langdon goes to the Louvre and surveys the gruesome murder scene. Unfortunately for Langdon, this is only the beginning of his adventure. The police turn on Langdon and accuse him of the murder; Sophie Neveu, a cryptographer, helps him escape. They go together to put the pieces of the mystery together. While trying to solve the mystery, they run into many twists and turns. They also learn why they were both picked for this adventure. I really liked this book. I had watched the movie first, so some of the surprises weren’t surprises, but it was still really good. It’s so interesting how Dan Brown meshes the symbolic with mystery, reality, and the truth. He adds just enough truth to make it seem plausible. It leaves you wondering if he found some secret, ancient document that provided him with the information. 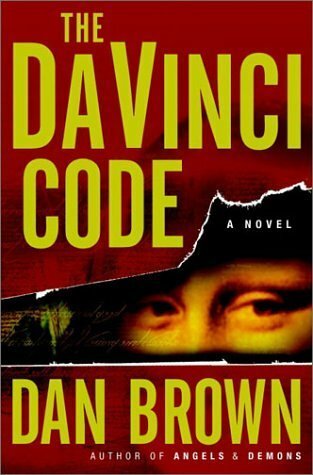 If you’re looking for a fun, entertaining, high-action book for summer, check out The Da Vinci Code by Dan Brown. I think you’ll enjoy it! Have you already read this book? What did you think?? This review was first published on 4/28/09; updated on 6/7/18. I wasn’t sure what to expect when I started this book, but it wasn’t the adventure I found in its pages. Wow! What a ride! 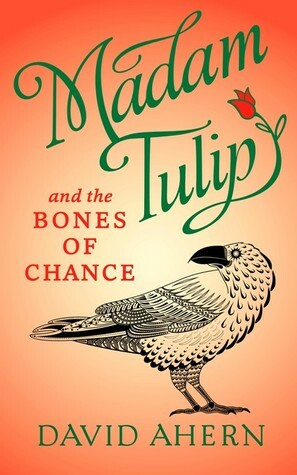 I hope you enjoy m book review of Madam Tulip and the Bones of Chance by David Ahern. “A surprise role in a movie takes actress Derry O’Donnell to a romantic castle in the Scottish Highlands. But romance soon turns to fear and suspicion. Someone means to kill, and Derry, moonlighting as celebrity fortune-teller Madam Tulip, is snared in a net of greed, conspiracy and betrayal. A millionaire banker, a film producer with a mysterious past, a gun-loving wife, a PA with her eyes on Hollywood, a handsome and charming estate manager—each has a secret to share and a request for Madam Tulip. As Derry and her friend Bruce race to prevent a murder, she learns to her dismay that the one future Tulip can’t predict is her own. Sometimes I wish I had a crystal ball and could predict the future. Wouldn’t that be nice? Then other times I’m happy to be surprised. If you could see what was coming would you do things differently? Would it change how you live your life, how you treat people, and how you react? Would it make you second guess yourself? A little deep, I know, but it makes me curious. Derry is a fun character. I like how particular she is about her Madam Tulip costume and props. She has a cute personality. Derry is not particularly intuitive when it comes to herself and how others feel about her. She tends to miss major clues. When it comes to other people, though, she does a little better. Sometimes I thought she acted as a strong character, and other times I was a bit disappointed by her lack of action. I am not one to believe in crystal balls or tarot cards. Unfortunately, Madam Tulip would not see me in her booth. She does make for a fun character though. The story line is pretty good. There were a few side stories that didn’t really add to the plot line, but I guess they gave you a little more insight into Derry’s life. It’s well written and exciting. There are some crazy twists; I thought one of them was a bit unbelievable, but by then I was into the story and couldn’t put it down. 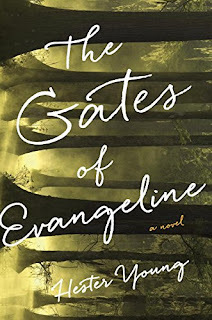 I liked the writing style, the descriptions, and the character development. There were a lot of characters, though, and I could not keep them straight. Even at the end I had a difficult time remembering who certain characters were. I liked Bruce a lot, and think that maybe Derry should pay a little more attention to him. Overall, this is a fun and entertaining read. I’d read more of the Madam Tulip books. Disclosure: I did receive a free book in exchange for my honest review. This did not sway my opinion in any way. I’ve always enjoyed a good mystery! When it comes to figuring it out though, I’m not usually very good at it. I just read; I don’t try to figure it out because I like the surprise at the end. With this book, though, the detectives had a difficult time figuring it out, and so I tried hard to piece it all together. I tried to help them. Nope, it didn’t work. Haha! I didn’t figure it out, but I did get that surprise at the end! 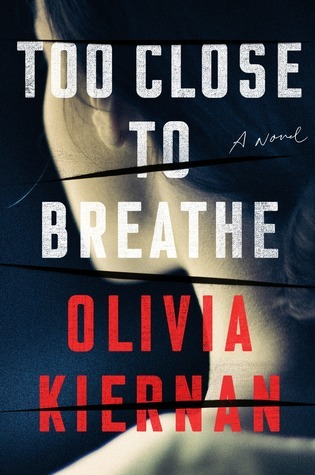 I hope you enjoy my book review of Too Close To Breathe by Olivia Kiernan. “In a quiet Dublin suburb, within her pristine home, Eleanor Costello is found hanging from a rope. Detective Chief Superintendent Frankie Sheehan would be more than happy to declare it a suicide. Four months earlier, Frankie’s pursuit of a killer almost ended her life and she isn’t keen on investigating another homicide. But the autopsy uncovers poorly healed bones and old stab wounds, absent from medical records. A new cut is deliberately covered in paint. Eleanor’s husband, Peter, is unreachable, missing. A search of the couple’s home reveals only two signs of personality: a much-loved book on art and a laptop with access to the Dark Web. 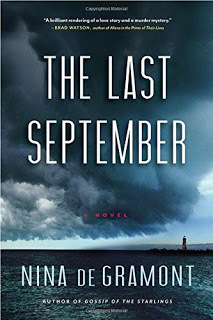 With the suspect pool growing, the carefully crafted profile of the victim crumbling with each new lead, and mysterious calls to Frankie’s phone implying that the killer is closer than anyone would like, all Frankie knows is that Eleanor guarded her secrets as tightly in life as she does in death. As the investigation becomes more challenging, Frankie can’t help but feel that something doesn’t fit. 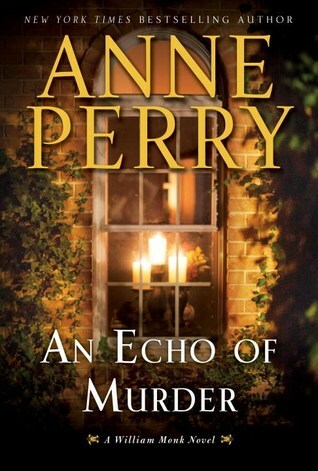 And when another woman is found murdered, the same paint on her corpse, Frankie knows that unraveling Eleanor’s life is the only way to find the murderer before he claims another victim…or finishes the fate Frankie only just managed to escape. Wow! This book is quite the adventure! Just when you think they’ve figured it out, they haven’t. There are many twists, turns, and surprises along the way. I like Olivia Kiernan’s writing style. It’s easy to read and understand, flows well, and is very gripping. The characters are developed well. They are real and flawed. Each character has his or her own style and characteristics. I felt like I was a part of their team, and with each passing hour I got a little more panicked that they weren’t going to figure it out. As a reader, I felt the pressure building to find the killer, and I was not able to help. I wanted to help them! Some of the places that their investigation takes them were a little dark for me. And, they were way too out there for me. I just couldn’t relate, and it made me uncomfortable. Honestly, I had NO idea that people engaged in things like that. I wish I didn’t have those images in my head now. Ugh. The story line captivated me; the writing sucked me right in. I loved the characters and the way the story unfolded. However, the content of the story and the premise of it were too much for me. It’s quite dark and very disturbing. Some of it is overly graphic and descriptive, and it was too lifelike for me; I found it very disconcerting. There is so much profanity, including way too many “f” words for me. If you have thick skin, aren’t bothered by profanity, and enjoy a darker story line, though, you will enjoy this book. 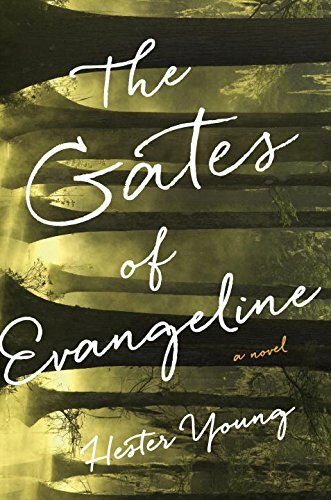 The writing is excellent; it’s captivating, engaging, and so lifelike. 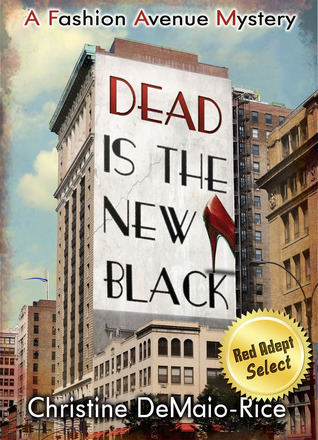 Recently I received an email from a reader asking me to review Dead is the New Black (Book #1) by Christine D. Rice. She said that her daughter had started this series and she hadn’t had time to preview it first. Of course! I’m always up for new books, and as I hadn’t ever heard of this book, I was excited to read it. It’s a mystery, which I enjoy but don’t read as often, so that got me even more excited. Unfortunately, it took me a little while to find. My local library didn’t carry it, so thankfully amazon did! (Taken from amazon.com) “Fashion designer Jeremy St. James is everything Laura Carnegie could want in a man. He’s gorgeous, rich, and talented. The fact that everyone says he’s completely unavailable doesn’t stop her from dreaming of being in her boss’s arms. As a matter of fact, she suspects his inaccessibility is part of his charm. When Jeremy’s backer is found dead in his office and he’s accused of the crime, he trusts Laura, and only Laura, with the keys to the design room. She wants him back and out of jail, and in the process of exposing a counterfeiting ring and finding the real killer, she uncovers the secretive man under the temperamental artist; a man who is most definitely available, and a man who might not be that inaccessible after all. Let me start out by saying that I know NOTHING about fashion. Seriously. I’m always deciding I like a trend about a year after it’s popular. I couldn’t tell you any of the famous brands or designers, and the terminology is way over my head. The same goes with sewing. I can sew a straight line (a flannel blanket or pajama pants), but patterns? They scare me! Needless to say, I’m glad I read this on my Kindle because I had to look up the definitions of a bunch of fashion terminology. There are colors I had no idea existed, and acronyms I still don’t know the meaning of. If you are into the fashion scene or sewing then I think you’ll fit right in and enjoy that part of the story. I found the writing style witty and smart. Laura is mostly a likable character. She drove me crazy some of the time because of her affection for her off-limits boss and her tendency to throw caution to the wind. She also didn’t have a very high self confidence. I liked the relationship she had with her sister Ruby and her mother. I definitely don’t live in a big city like Manhattan, so a lot of that style of living is new to me. It’s so fun to learn about how people live. As far as the story line goes, it seemed plausible. Like I said, I’m not involved with the fashion scene at all, so someone who is may have a different opinion. I didn’t think the mystery was all that great. I kept waiting for Laura to prove herself as an amateur detective, and I just didn’t think she really did that. She figured it out in the end, but her sleuthing skills never shone bright. There were a lot of characters, and I had a difficult time remembering who was who, and what job they did. I did learn a lot about how patterns are made, the steps in producing an article of clothing, and all the different skills needed. Right from the start I figured out that the cover art does not match the style of this book. The cover art is cartoon-ish and makes it seem like a YA book. Yep, not true. It’s very deceptive, I think. Overall, this book was ok for me. If you’re into fashion, though, I think you’ll enjoy it more. 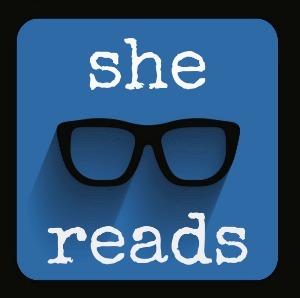 This book is one of the SheReads.org books of winter. I’m so glad I was able to review this book! I love the writing in this book. I was captivated from the beginning. I love the descriptions, the flow of the story, the language of the book, and the writing style. This book grabs you from the beginning and doesn’t let go. Of course, I’m not sure if any mom, anywhere, could read about the children in Charlie’s dreams and not get involved. It’s heart wrenching. If I suddenly start seeing children in my dreams, I hope it’s not because they’re in danger; I hope it’s because they’re happy and thankful I was their teacher, or something. I like Charlie’s voice. I like her personality, and I feel for her after her loss. The characters in this book are well developed and realistic. They come to life on the page. The story of young Gabriel is compelling and draws the reader in. The description of what Charlie feels at the boat dock is so well done that it had my skin crawling. There is some profanity in this book. I was excited because there wasn’t a lot at all, and then when you get to about page 120ish, there are several “f” words all at once. Ugh…..I hate that. And then, that was it. Once you get through those few pages it’s fine. Weird. I hate it when authors just throw them in to throw them in. It’s irritating. There is some violence as well. There’s some domestic violence and death. Some of the scenes are graphic. There is some “intimacy,” but it doesn’t go into a lot of detail. You know it happens, but it isn’t described in detail. Overall, I enjoyed this book and would recommend it with the above warnings.